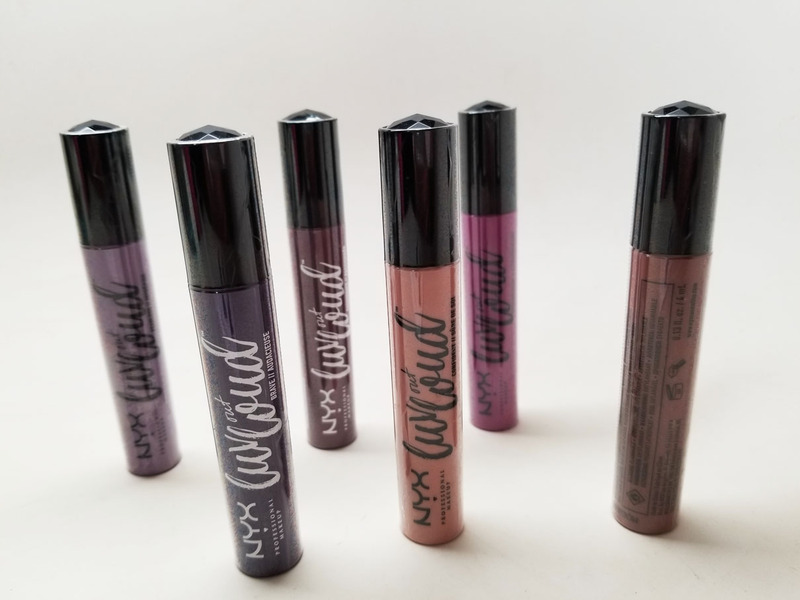 NYX just came out with a gorgeous Limited-Edition Liquid Lipstick set. I'm loving the color names - Fearless, Extraordinary, Brilliant - can we say girl power? The colors are gorgeous and right in time for Fall. Check it out! This set contains six new lippies, celebrating individuality, beauty, and artistry for all. I love that! Check out the swatches. 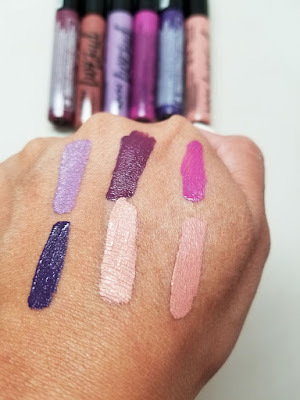 They're gorgeous, especially for any purple lip lovers out there. I wore the shade Passionate (pictured top center) yesterday with a purple eye liner to line the lips. It looked deeper on my skin than it swatched but was still super fierce. I recommend wearing a good moisturizing balm underneath because it does feel a little drying.